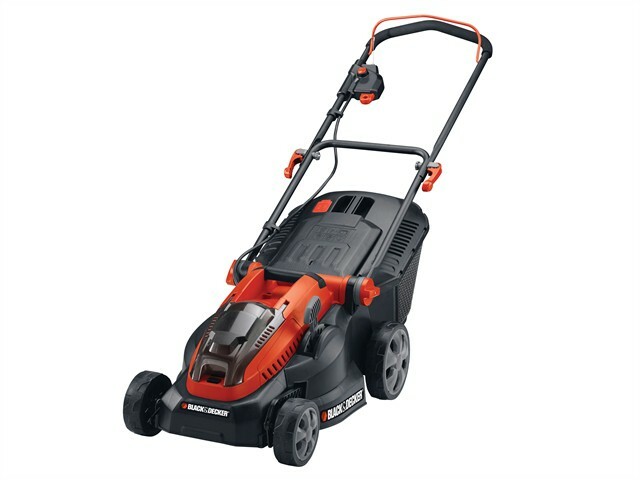 The Black and Decker CLM3820L2 Lawnmower has 2 x 36 Volt Lithium-Ion batteries for longer runtime of up to 30 minutes. The 38cm robust deck is ideal for mowing lawns up to 600m², and the grass box has a large 36 Litre capacity, plastic grass box that is robust and convenient. It has 6-settings for height adjustment and a single lever can change the height of the cut from 30-80mm. Comes supplied with 2 x 36 Volt 2.0Ah Lithium Batteries. Cutting Height Adjustment: 30, 40, 50, 60, 70, 80mm.